Some handy hints for consultants using or specifying DALI are mentioned below. The system ‘power on’ level can be set at a defined level to ensure the DALI lighting always returns to the correct level when the lights are turned on. The system failure level can be set to ensure the lighting acts in a safe and practical manner, see DALI example for some useful hints. DALI provides enormous amounts of freedom for designers and allows future flexibility. Each DALI line can have a maximum of 64 DALI devices. This limit does not include DALI controllers such as DALI switches, sensors or controllers. Each DALI device and sometimes even the switches and controllers will consume some of the DALI line power. For example a DALI ballast normally consumes 2mA. A designer must ensure that the system line power should not be exceeded. The DALI power supply MUST not exceed 250mA. Devices on the same line can be powered by different phases or completely different supplies allowing for easy segregation in a multiple tenancy building. 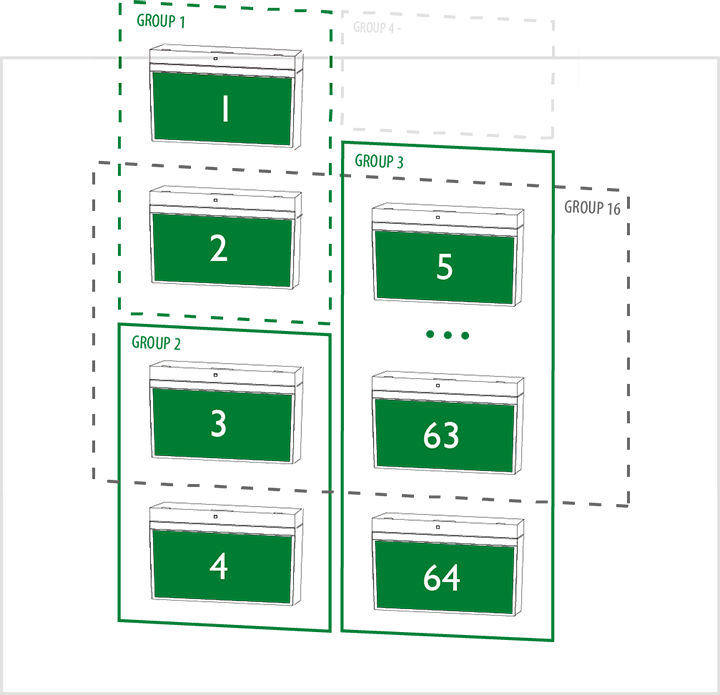 Each DALI device can be a member of up to 16 groups. 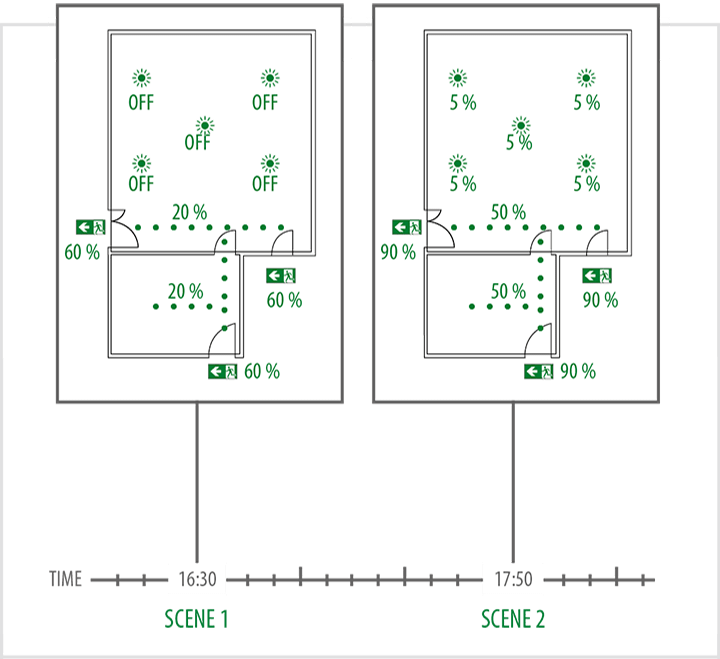 Each DALI device can have up to 16 preset scene recall levels. The minimum and maximum levels of a DALI device can be changed to limit the user’s controllable range.